Pollo is spanish for chicken. Pollada is peruvian for chicken party. But before explaining what a Pollada is, let’s start by saying Peru is a developing country that has experienced great economic growth in the past years. This economic growth has caused several things: lower poverty levels (official numbers indicate 31.3% of the population live in poverty today – much better than the 54.8% of 2001), increased access to services – financial and otherwise, and better living conditions, amongst many others. A large part of the population, those who have limited access to financial products, financial education and disposable income (to pay for non basic needs such as insurance), have developed alternative mechanisms to fund their unexpected needs. One of the most emblematic methods is called Pollada. Whenever someone gets sick and the family just can’t afford the medical bills; when a loved one dies and needs to be buried; when debt has gone out of control and there’s no money to pay; or any other time an emergency arises, many Peruvians rely on organizing Polladas to cope with these unexpected expenses. How do they work? When the financial emergency knocks on one’s door, it becomes time to organize a fund-raising activity, where the community is expected to participate and chip in. The organizer first has to define the nature of the fund-raiser, though. Even though Pollada is one of the classic ways to go, there are many variations to it in terms of the food that is prepared and how the event will develop. The organizer sells tickets to the Pollada, which usually takes place on Saturdays, among his or her contacts (they basically rely on family members, friends and neighbors, since they would be more likely to give their support and since people try to avoid strangers at this kind of event). This ticket, priced at about $3.00 a piece, offers different things, depending on the nature of the event. Sometimes, it only pays for the chicken serving (usually ¼ of a fried chicken per ticket) which could be picked up at the organizer’s home or delivered. In other times, the event becomes a social gathering at the organizer’s home. It might even turn into a party, if the organizer has considered so, at which other products, such as beer, are sold (with profits contributing further to the fundraising objective). In this case, music and dancing become a central part of the event and the beer that isn’t sold can be returned, reducing the exposure to losses. This Peruvian tradition is based on the social dynamic of Latin cultures, where family and friends are always there for us. Coping mechanisms such as insurance may be out of the question for many, due to lack of money or simply accessibility, so everyone becomes a part of the solution and knows that, when it’s their time to look out for the support of others, people will come together. Guest Post by Finanzas Personales Para Todos – a peruvian personal finance blog committed to spreading financial literacy among Spanish speaking communities arund the world. Peru and many countries in Latin America have experienced important economic developments in the recent years, but knowledge about financial products is still low and needs lots of support. 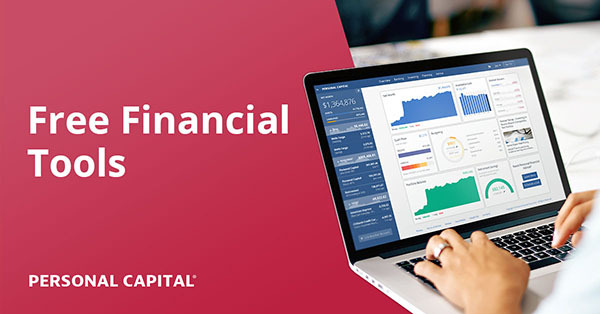 This blog aims to help people understand financial concepts and have the tools to take control of their personal finances. I have not heard of this custom before. Thanks for sharing! This sounds like a good way to bring family and friends together and raise money. I am curious how often a family might have one of these? Once every few years? This is a great idea. Sounds like the fundraisers that might occur here in the States for individuals facing large medical bills for cancer treatment or a transplant. People are always ingenious at problem solving. J, first of all thank you for allowing us to post on your blog. @Melissa – frequency depends on multiple variables, but clearly one person or family can’t organize this events so frequently, since they are reserved for emergency situations. @cashflowmantra – yes! I’m sure people in different countries and cultures have similar fund-raising events… and of course this is one of many other “creative ways” to solve a money emergency. Very interesting, especially since my wife and I bought some land in Peru last fall, and are currently in talks to develop it. I checked out his blog and bookmarked it, though I don’t speak Spanish yet. That is a wonderful idea if you have a supportive group of family/friends. I sometimes wish the US still had those kind of communities where people banded together to help each other. A little example would be people bringing over frozen casseroles when someone gave birth or there was a death. Now people just buy frozen meals. I wonder if the recession may cause the younger generation to start building a community, I know I’d like to try to. @ Ginger – those communities do still exist! Perhaps not geographically, ie, by neighborhood. They certainly exist in common interest groups. For example, when something happens to a rodeo competitor, other rodeo families step in and hold fundraisers. I’ve been blessed to be involved in many such wonderful groups of people. In the Rodeo Association where I’ve been a member for more than half my life, we have many, many fundraisers to help others in our rodeo family; houses burn down, children critically injured, family deaths… This practice isn’t exclusive to rodeo people… It happens all the time. Relay for Life is another wonderful example. As long as there are human beings on this planet, we will be taking care of each other. @Amy Lou – you’re very right on that one… I believe it’s in our human nature to support others and probably today the ways of doing it have shifted (for example, giving a hand when a natural disaster occurs on a distant country). Thank you for sharing your Rodeo experience… it sounds like a tight and supportive community. @Michael Senchuk – congrats for the land!!! @Ginger – thank you for the comment, I think Amy Lou has shown a great example and if other people think like you, it would probably become a more widely used practice. Reminds me of the cake-walk. As a Yankee I had never heard of this, but when I moved to Virginia this was a local way to raise funds for people or places. To those who haven’t done it, you put numbers on individual donated cakes, sell tickets/raffle for the fundraiser, have 20 folks at a time rush around like musical chairs onto 20 chalked boxes, or 20 taped numbers in the street, and then stop the music, pull the raffle number and who ever is standing on the corresponding number wins the cake! Lots of cake walks in the Valley in Virginia for folks with cancer, or financial issues, or local fire departments, etc. Sometimes it isn’t really cake that is raffled at all – could be anything really. Fun and you do get to meet the locals! HI, I am peruvian and I just wanted to add that the wonderful thing about polladas is that most of the people that attend the polladas are poor people ( they most probably also have their own huge economic problems at home but it doesnt matter, they will make an effort and buy at least one ticket). One of the things I am most proud about Peru is how family and friends are first , always! Awwww, that IS wonderful!! I really admire that about Peruvians too :) And a lot of other similar cultures that somehow us Americans have not followed suit with for the most part ;) Thanks for stopping by, my friend.